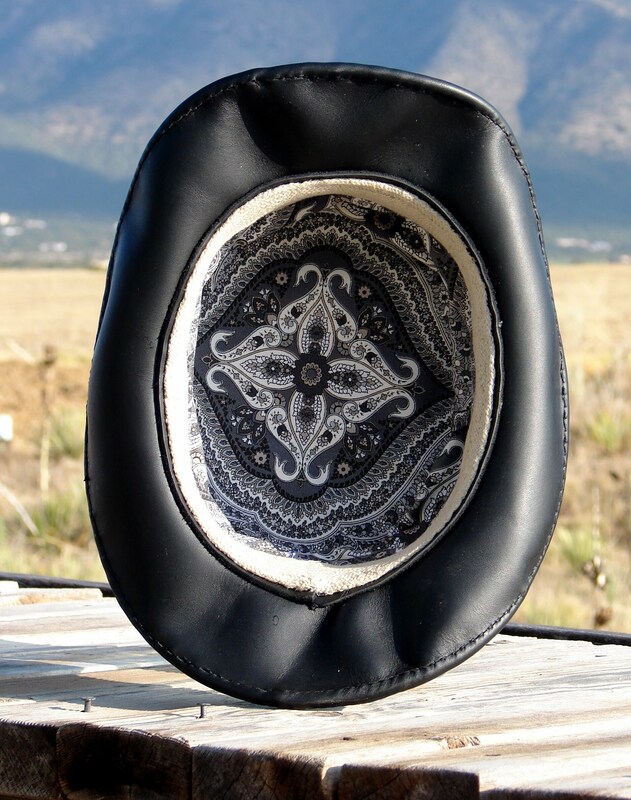 We are offering this one of a kind, entirely handmade, custom leather top hat, for the most discriminating of patrons. 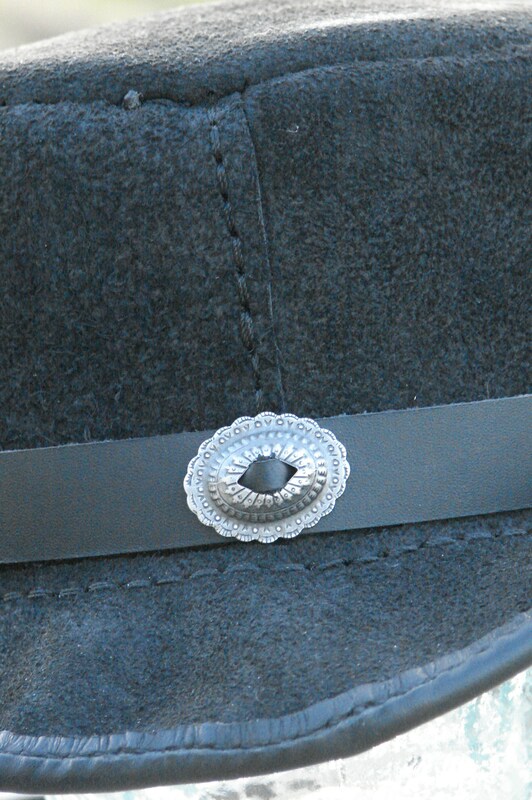 Step out in unique fashion, sporting our low-crown rough-out, with Southwestern styled concho hatband. Each hat I make is an individual, just like the folks who wear them. 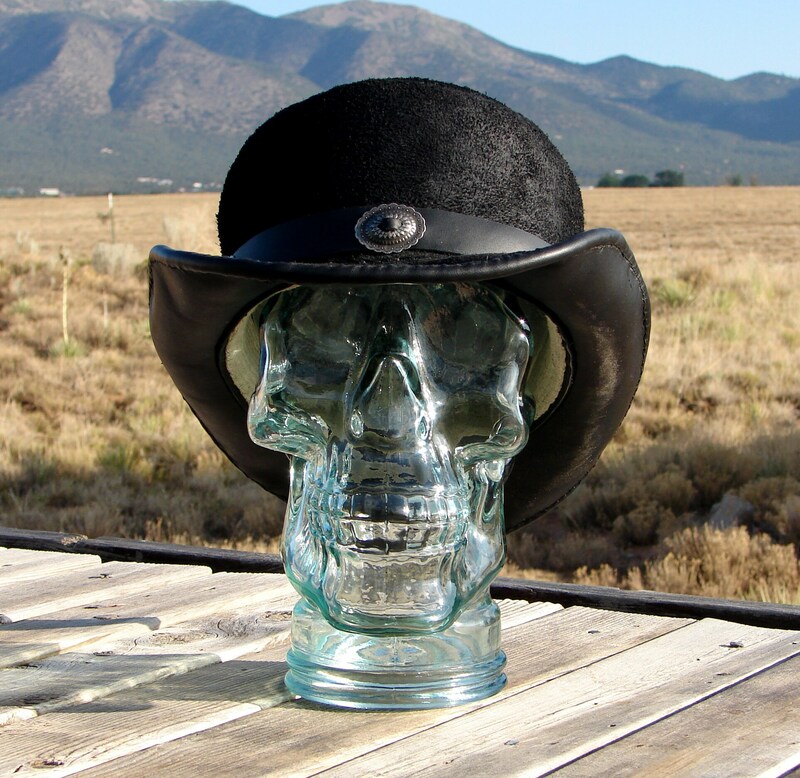 Made from a chromium tanned black dyed leather, this low-crown topper is completely handsewn. 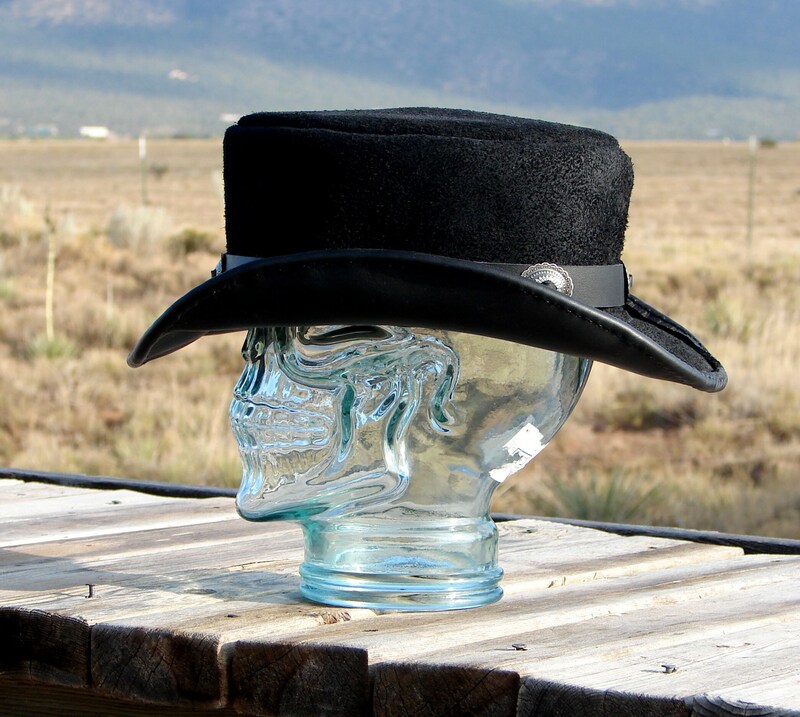 The hat is assembled with a heavy waxed nylon thread, double threaded, and double stitched for long-lasting wear. The sweatband is cotton webbing, and the liner is a screen-printed cotton shirt weight fabric, hand stitched, using a cotton thread. The liner is removable, for occasional handwashing and air-drying. 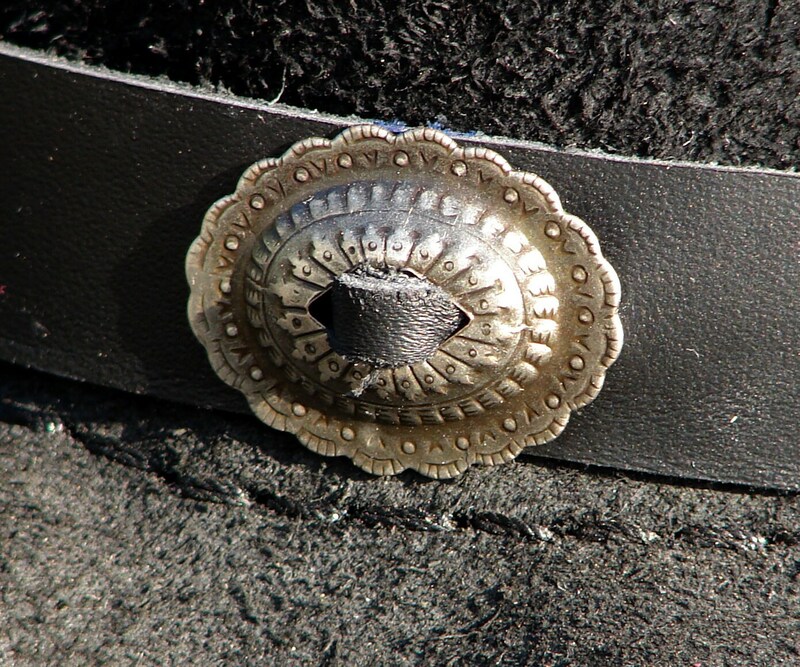 The band features six antique gun-metal finish metal conchos, of a decidedly Western design. 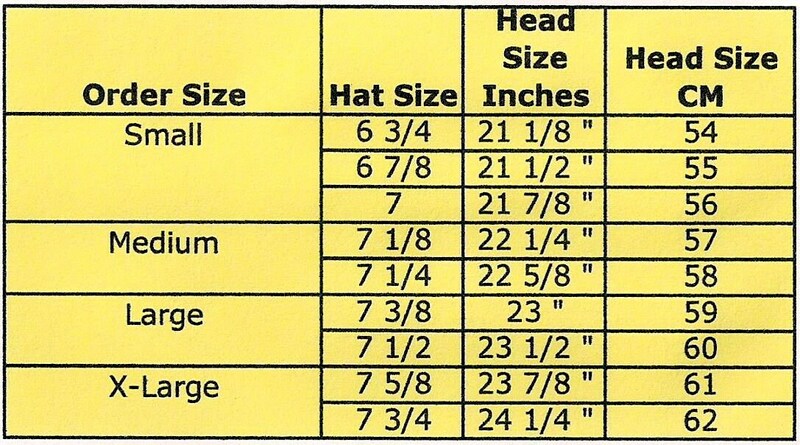 For medium to somewhat larger head sizes, this hat should accommodate those who typically wear a seven and three-eighths, in most standard offerings. All my hats are sturdy and built-to-last. Wear this hat and treat it right, and it will be with you through the long haul.